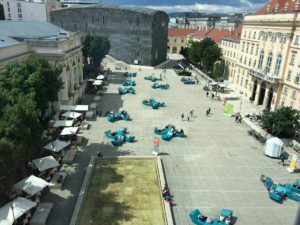 Things to do in Vienna September 2019. My top 10 specials below cover one-off events and typical things to do in September. I have taken care that you end up at quality events, and local favourites. For an insider view on music events, visit Vienna concerts. Things to do in Vienna September 2019. You will hardly see the Lipizzaner stallions with as many springs in their steps as in August. Just back from their summer break in Styria you can watch them either during a Morning Exercise or a proper Performance. TIP: combine your visit with a guided tour through the stables. My family and I did it and felt like at a celebrity backstage tour, so much to see and learn. Things to do in Vienna September 2019. As a child, I strolled through the vineyards of the Vienna Woods during wine harvest. Vintner families and helpers were picking grapes and loading them onto their tractors. You can trace my foot steps if you join this local tour guide. He arranges wine hiking tours during September, the main month for the grape harvest. The tour starts from Leopoldsberg in the North East of Vienna. You will hike along our ‘home mountains’ Leopoldsberg and Kahlenberg. They are great for panoramic views of Vienna and the Danube. The tour ends with a visit to a lovely winery. 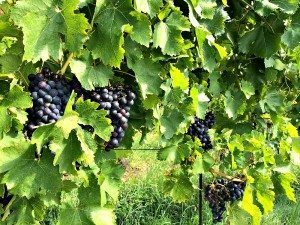 Check availabilities for this private wine hiking tour. Things to do in Vienna September 2019. In September, the city’s main opera houses re-open after the summer break. The new opera and operetta season starts. The Vienna State Opera is the hardest to get tickets for. I kept falling off the official ticket waiting list, and have now found a great alternative. 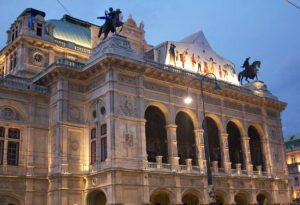 If you want to secure a space at the State Opera, read my story and the best way for booking Vienna opera tickets. To find out what’s on stage during your trip check the calendars for operas in September at Staatsoper and Volksoper and for operettas in September at Wiener Volksoper. Things to do in Vienna September 2019. When Mozart lets a whole orchestra communicate with a piano you will catch a conversation full of lightness, joy, romance and wisdom. On two days in September, the renown Mahler Chamber Orchestra, founded by Claudia Abbado, will perform Mozart’s Piano Concertos no. 19 and 20, and Richard Strauss’ Metamorphosis. Since this is a highly sought after concert, it is worth setting up a concert ticket alert. Things to do in Vienna September 2019. 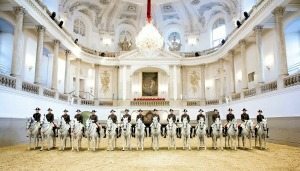 400-year old Lipizzaner horses pair up with 500-year old Vienna Boys Choir. What sounds spooky is a graceful and uplifting tradition. 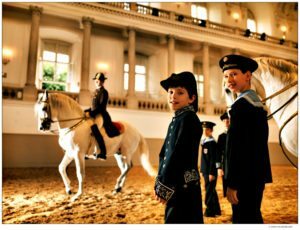 On two days in September (and one in early October), you can listen to the angelical voices of the choir boys at the Spanish Riding School in the Imperial Palace. The Lipizzaner performances will alternate with the choir performances. For further 2019 events and dates go to Vienna Boys Choir. Things to do in Vienna September 2019. I love soaking in St. Stephen’s Cathedral rich art and architecture while classical music washes around its pillars, statues, paintings and altars. In September and October, you can listen to Vivaldi’s epic Four Seasons as the autumn settles into Vienna. Find out more in my Stephansdom guide. Things to do in Vienna September 2019. Congratulate yourself if you are lucky enough to be around Vienna on the 8th September. You may get the chance to listen to an open air concert by the Vienna Philharmonic Orchestra. Together with renown conductor Andres Orozco Estrada they will perform works by Dvorak and Korngold. 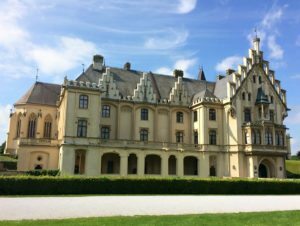 The location is Grafenegg Castle in Wachau Valley, about an hour west of Vienna. The concert concludes the annual high-profile Grafenegg Summer Festival. See the whole festival programme at Grafenegg. You can combine your visit with a trip to UNESCO World Heritage site Wachau Valley. Things to do in Vienna September 2019. Vienna’s answer to Munich’s Octoberfest feasts on Austrian tradition. 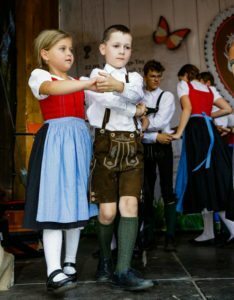 The Wiener Wiesnfest is THE place to watch (and wear) dirndl dresses and lederhosen. Have a decent beer with savoury snacks in one of the festival tents, experience authentic Austrian folk dance, enjoy folk music and watch demonstrations of local crafts. My favourite is the original Styrian log cabin where you get fabulous regional delicacies. On certain days, each of the nine Austrian regions will present their own folkloric culture. Check the musical program calendar. Things to do in Vienna September 2019. You can’t imagine Austrian fashion beyond the dirndl dress? Get a glitzy update at the contemporary and avant garde Vienna Fashion Week. The event represents the final of the Summer Of Fashion At Museumsquartier. There will be dozens of fashion shows, exhibitions and pop up stores from Austrian and international designers. Watch out for elegant fashion by Anelia Peschev, Habig, Elke Freitag, Elfenkleid and Michel Mayer. You can enter the shows 10 minutes prior to each show. Access will be granted according to capacity. 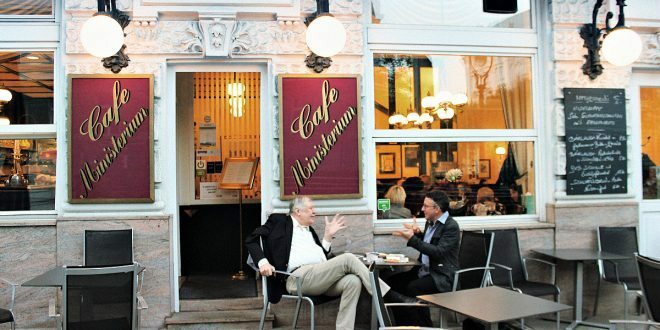 Things to do in Vienna September 2019. vienna contemporary is vibrant, bizarre and happy. This affordable art fair opens a window to the buzzing art scenes of Russia, Ukraine, Turkey, Hungary, the Caucasian Region and other European countries, on top of showcasing Austria’s best in contemporary art. Learn who is up and coming in Central, Eastern and Southern European art. You may even end up with the most sophisticated souvenir from your trip. Things to do in Vienna September 2019. 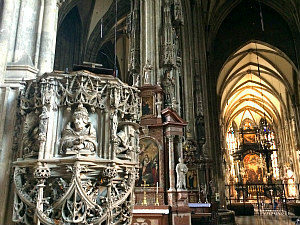 Vienna, along with Austria and Europe, opens up its top monuments at the European Heritage Days (EHD). 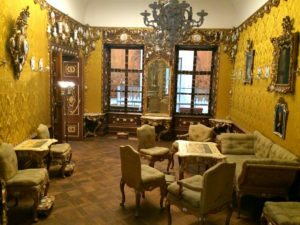 For one day, the Federal Monument Office (Bundesdenkmalamt) will open many lesser known monuments and popular institutions in Vienna for free, among them the Academy of Visual Arts, Burgtheater’s rooms, Gustav Klimt’s villa, the Biedermeier collection of the Museum of Applied Arts/Contemporary Arts, and more.